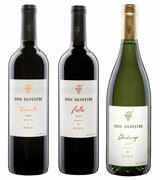 Value wines deliver a lot of bang for your buck – when you need to stock up, but don’t want to break the bank. For more great wine suggestions this holiday season, pick up our free Holiday Gifts and Entertaining Guide in stores now. Also included in the photo are Riedel Wine Glasses (above) – always a classic pair to a great wine. Save 15% through December 31st. This bold yet mild jam is excellent on a smoked turkey or grilled chicken sandwich, and it also goes well alongside lamb or pork. 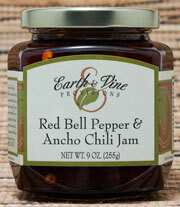 You can also top a tangy goat cheese with this spicy jam and serve with crisp rustic crostini as seen in our featured recipe, Cypress Grove Chevre with Earth & Vine Red Bell Pepper & Ancho Chili Jam. In business since 1894, Graber grows olives that are superior: their succulent texture is due to full tree-ripeness, and their flavor is among the very best. 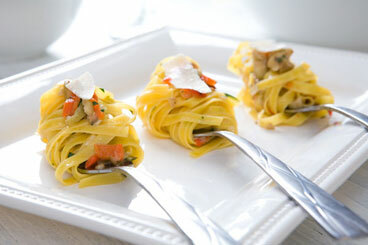 Give these olives a try in our featured appetizer recipe, Fettucini with Rustic Green Olive Tapenade. Do your holiday shopping and support Fair Trade at the same time. World of Good supplies us with a wealth of great gift items — handicrafts produced by artisans in developing communities around the world. We love World of Good’s mission to reduce poverty by paying fair wages to their artisans, and we adore the high-quality items they produce. World of Good can do good for you wallet too. 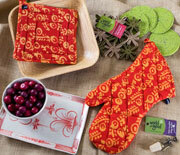 All World of Good houseware items are 50% off for the rest of 2008! Professional theater company "Best of Broadway" performs at Rocklin Sunset Center's stage (2650 Sunset Blvd. in Rocklin) with a Christmas Musical Revue, featuring holiday song and dance. Tickets are now on sale for $3 per person in advance or $5 per person at the door. Showtime is 7 p.m. Nugget Market is delighted to be a major sponsor of this family event. For more information, call (916) 625-5200. All prices valid through December 31, 2008. Download this week’s ad (1.2MB PDF). Nugget Market wants to help make your holiday party easy and stress-free. And, believe it or not, if you employ a few simple strategies, planning a holiday gathering can be fairly simple. Ease party-planning stress by writing detailed shopping lists (don’t forget to buy plenty of ice) and doing as much as you can in advance. Purchase plates, napkins and utensils (if using disposable), and adult beverages and non-alcoholic drinks one to two weeks ahead of time. If you are comfortable asking one or two guests to take on tasks at the event, it always helps to have someone specifically in charge of keeping the beverage area stocked and plentiful. Our suggested party menu (below) is strategically balanced to provide you, the host or hostess, with time-management options. 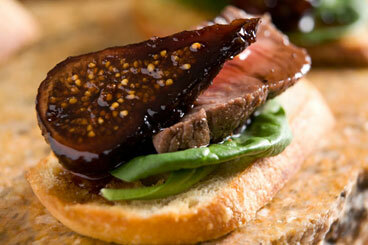 Most components from each dish can be prepared one day in advance, including the Crostini, the Fig & Tawny Port Reduction, and the Rustic Green Olive Tapenade. Other dishes, including both the Florentine Artichoke Dip and the Curried Butternut Squash Soup, should be made a day early; that way, the only thing to do the day of the party is bake the dip and portion the soup into cups. The ultimate reason for all of this planning and time management is to enable you, the host or hostess, to spend time with your friends, family and business associates instead of missing out on the fun times while you are stuck in the kitchen! When it comes to good food, a cheese plate is always a great idea, and it can be as simple or as elegant as you'd like. A cheese course is traditionally served at the end of a meal, but it can easily be served at another point during dinner, or as an appetizer. 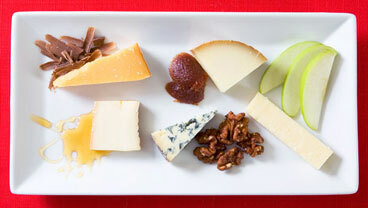 When preparing a cheese plate, keep the portions small (usually 1-2 oz per type) and the presentation simple. Don't forget to pair cheeses with traditional accompaniments such as dried fruits and nuts, cured meats, olives or your favorite chutney, marmalade or honey. And of course, if you need assistance, all of our in-store cheese specialists are there to help you with your selection and preparations. 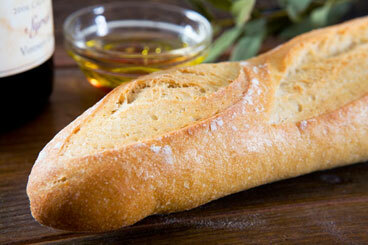 With their crisp crust and delectable interior, our French-style rustic baguettes are created from the very best ingredients, namely specially milled organic flour, naturally fermented starters, and time-honored artisan techniques. Less is more: Rather than having an abundance of everything from chips to cookies, cut back on amounts and serve smaller pieces of appetizers, entrées and desserts. People can always go back for more, but chances are they will fill up easily and less will go to waste. 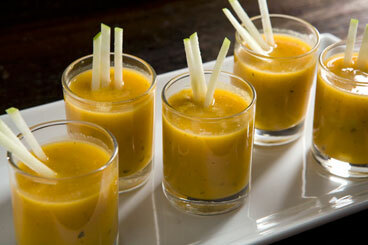 Offer color: Aim for five different colors of vegetables or fruits for appetizers and side dishes. Radishes, carrots, cucumber, cherry tomatoes and jicama slices are tasty, crunchy appetizers, and a colorful salad with mandarin orange slices or dried cranberries makes a good side dish. 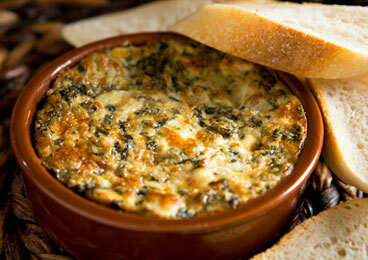 Go whole grain: Provide a selection of whole grain crackers to go with dips and cheeses. Many are lower in fat and provide more nutrients than refined varieties. Try reduced fat: Dips and spreads made with low-fat cream cheese and sour cream are often as tasty as full-fat versions. And when you mix them with fresh herbs, the flavors really pop. 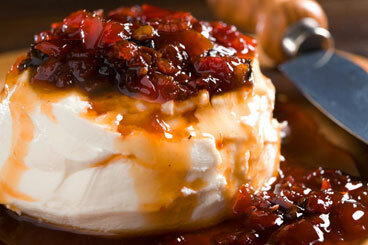 Use full fat where flavor counts — in cheeses and chocolates, since these delectables usually stand on their own. Simple drinks: Offer sparkling water with lemon, lime or fresh berries to plop in the glass as a calorie-free, refreshing drink. Guests can also use sparkling water to dilute other beverages they may find too strong.